The name Hippikon is given to the veteran riders of the Calydonian army. 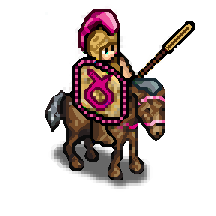 Hippikons are better trained and armed than the Prodromoi and their charges can easily defeat every kind of enemy, with the only exception of spearmen and archers. Last updated on Sat Apr 20 01:31:14 2019.